Throughout our lives, we are taught that physical beauty means nothing when compared to inner beauty. Even though we were taught this lesson (think, “Beauty and the Beast”), people still find a way to judge us because of the way we look. We laugh at each others’ weight, hairstyle, and the cloths we choose to wear. No matter how many times we try to make ourselves feel better about the way we look, someone always is bringing down our self esteem. What if, for a day, you could become the one they are all staring at for the right reasons? For being the one who is undeniable pretty, to the point that no one tries to make fun of you? 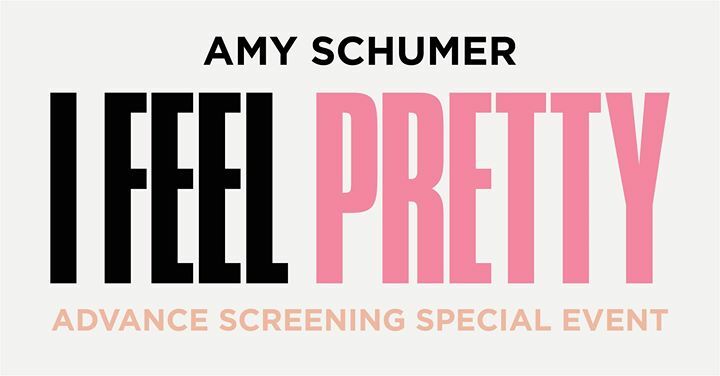 That is the premise behind “I Feel Pretty”. Renee Bennett, played by Amy Schumer, has always dreamed that she would wake up being undeniably pretty. She has always struggled with self esteem issues, due to her weight, and has never felt like she was gorgeous in any way. When her dream job as a receptionist, working for Ivy Leclaire – a famous makeup artist, comes along, the only thing stopping her from taking the position is her weight. Her dream is nearly crushed, until a bicycle accident knocks her unconscious. When she regains consciousness, she believes that her wish has come true, and that god has made her undeniably pretty. With her wish “granted”, Renee becomes incredibly confident in her looks and herself. This leads her on an adventure to finding her true inner beauty while believing that she is externally the prettiest girl in the world. For starters, the movie is incredible funny. The writers of the story did an incredible job at incorporating humor into a subject that is really serious. The humor added a light feeling to the movie that made audiences want to pay attention and not fall asleep. Without the humor, the movie would have come across as a little too vain. The main character, Renee Bennett, goes through a period of time in the movie were she is always staring at a mirror, and pretty much loving her reflection. It’s good to love your appearance, but not to the point that you are obsessing over it. When Renee inevitably has her wake up call and loses her “beauty”, her reaction is quite vain. She becomes depressed and starts to push everyone she loves away. For what? Because she is not beautiful. However, the casting of Amy Schumer as the lead role makes the movie becomes a lot less about vanity. She is able to take her character, Renee, and make her be seen as a girl that an audience can sympathize with. Instead of seeing a girl that is self-absorbed, we see a girl that has overcome many hardships in her life due to her looks, and uses them to have complete confidence in herself. In the end, I would recommend this movie to anyone who wants to see a comedic side to a problem that has plagued our planet for years. Who cares what you look like. Be yourself. Because then you can feel pretty.